The PDA (Pharmacists’ Defence Association) is a not-for-profit membership organisation that aims to act upon and support the needs of individual pharmacists and, when necessary, defends their reputation. The PDA is the only organisation in UK pharmacy that exclusively looks after the interests of individual pharmacists, pharmacy students and pre-registration trainees. The PDA and the PDA Union have over 28,000 members. o Provide insurance cover to safeguard and defend the reputation of the individual pharmacist. A voice for patients to help us become more patient-centred. If you have any news or views, information or advice or want to share great examples of pharmaceutical care then please get in touch. 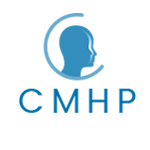 Our ‘Management of Mental Health Study Days’ are being delivered in collaboration with the College of Mental Health Pharmacy (CMHP).